Will Moving in With a Roommate Really Save You Money? Once you reach a certain age in your life, living alone feels like the ideal situation. You can decide how you want your home decorated, how you want to organize it, what you want to use the space for, and all around make it your own. Unfortunately, thanks to the rising cost of living and the stagnant income rates of most employees over the years, living alone, especially if you’re in a major city, has becoming increasingly impossible for most. The solution for many is to inevitably find a roommate. After all, splitting the costs between two people will no doubt save you money, right? While that might be true in some cases, there are instances where a roommate could cause you more of a headache than it’s worth. So, before you post a wanted ad or prospect one of your friends, take a look at the ways a roommate could save you money. This may help you decide whether or not it’s a situation that’s truly worth it. Where you live usually dictates what you spend on rent, which can also influence whether or not having a roommate will actually save you money. If you live in a fairly reasonably-priced city and can afford to live in a one-bedroom or studio apartment on your own, but know you couldn’t afford a two-bedroom by yourself, then acquiring a roommate isn’t going to necessarily save you. You’re inevitably going to either pay more because a two-bedroom costs more or simply pay what you would have to live on your own. On the other hand, if you reside in a major city, rent is no doubt exorbitant, and you might find yourself unable to even afford a one-bedroom solo. If that’s the case, a roommate could not only save you, but is likely a must if you hope to live in a decent apartment from the Move Flat Website. Hence, before opting for a roommate, examine the realty market you live in and weigh the costs. Is Your Potential Roommate Financially Responsible? Being able to split your rent and bills sounds like an instant money saver, however, that could all depend upon the roommate you choose. If you find a financially responsible roommate, then you will likely find yourself saving money. Unfortunately, that’s not always the case. No matter if you knew your roommate beforehand or not, you could find yourself footing most of the expenses alone if your roomie is not responsible. Whether they have trouble paying their share or are simply late on payments, having a roommate that’s subpar in regards to finances could leave you paying late fees or extra to make up for uncovered costs. Splitting the utility bills is no doubt one of the most enticing reasons to get a roommate. After all, it can often feel like no matter how hard you try, the bills simply get more and more expensive by the month. In many cases, the cost of utilities for two people as opposed to one, shouldn’t increase the cost too much. So, you should find yourself with extra cash at the end of the month. That being said, if your roommate is particularly wasteful with utilities like water, heat, or electricity, you could find your bills more expensive than usual. 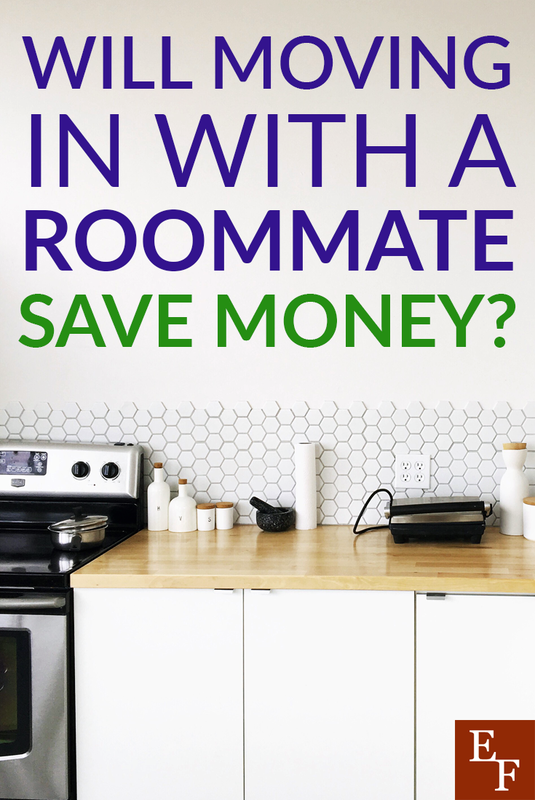 Be sure to speak with a potential roommate beforehand about the ways in which you can keep those costs down and how you might sync some of your routines to save on utilities. Furnishing your own place is no cheap endeavor. If you have family or friends that have passed down furniture and home goods, then it might be inexpensive to furnish your home on your own. In many cases, however, you might find yourself in a position where you need to come up with all the income for all the decor on your own. If that’s the case, a roommate can definitely make your payments cheaper. So long as you agree on decor and color scheme ideas, you and a roommate could divvy up the costs and purchases needed to fully furnish your home, ergo saving you money. If the idea behind a roommate is to help you save more, then ideally, you should be able to put more income towards your savings and goals. However, we often pick up the habits of those we surround ourselves with. This means, depending on whether or not your roommate is a spender or a saver, you could become more of a saver or spender yourself. If you have a roommate that does a great job of prioritizing their financial goals and savings you might find yourself doing the same. Unfortunately, it’s all too easy to be influenced by someone who is constantly spending to the point where you find yourself spending on luxuries you might otherwise have not. Make a point to speak with your roommate about your savings or financial goals, so that they might be wary of their own habits and requests of you. As a single individual, purchasing groceries and cooking for one, often seems expensive and difficult. A roommate can not only help make cooking easier, but could also help you save money on groceries as well. When it comes to certain personal food preferences, you might want to keep those separate, however, for main meals and staples, talk with your roommate about setting a budget and splitting the costs. You might find that you’ll save a fair amount on your weekly grocery trips and keep yourself from wasting food. When it comes to getting a roommate, the decision of whether or not to do so really depends upon your personal preferences and whether or not it will help your bank account. Weigh all the pros and cons and overall costs before jumping into a mutual living situation. Because if it’ll cost you your sanity and the savings aren’t there, you might want to reconsider that want ad. Have you had an experience where a roommate did more damage to your finances than good?